The newly-exposed edges of deforested areas are highly susceptible to drastic temperature changes, leading to hotter, drier and more variable conditions for the forest that remains, according to new research from the University of Colorado Boulder. The findings suggest that thermal biology -- an emerging discipline that examines the effects of temperature on biological and ecological processes -- could be an effective tool for understanding how temperature changes in fragmented habitats can potentially wreak havoc on species activity and other critical ecosystem functions. A study outlining a framework for applying thermal biology to deforestation research was recently published in the journal Ecology Letters. 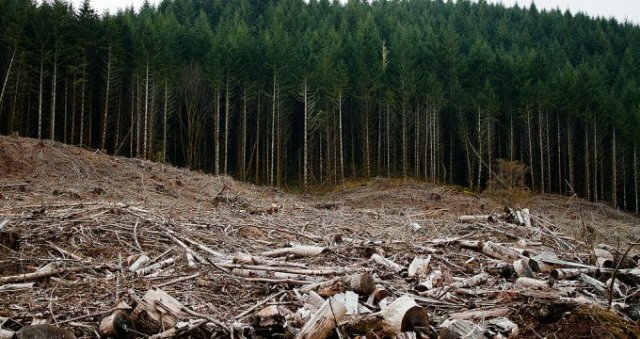 Previous research has shown that widespread deforestation is a threat to global biodiversity, but scientists are only just now beginning to examine the role that temperature may play when trees are removed from an ecosystem -- especially near the newly-cut edges of forests. "When you chop down trees, you create hot spots in the landscape that are just scorched by the sun," said Kika Tuff, a PhD candidate in the Department of Ecology and Evolutionary Biology at CU-Boulder and the lead author of the new paper. "These hot spots can change the way that heat moves through the landscape." In some cases, this creates a phenomenon known as the 'vegetation breeze,' where low air pressure in the cleared areas pulls the cool, moist air out of the forest and feeds hot, dry air back in. "So now the cleared areas get all the rain and the forests gets sucked dry," said Tuff. The warming effect is most pronounced between 50 and 100 meters of a forest edge, the study reports, where temperatures can be anywhere from 4 to 18 degrees Fahrenheit warmer than in the forest interior. "This is like climate change on steroids," Tuff said, "and it happens over much more rapid time scales." Biologists estimate that 20 percent of the world's remaining forests lie within 100 meters of an edge, while more than 70 percent lie within a kilometer of one. This means that much of the world's forests may be experiencing the vegetation breeze and other warming effects. Increased temperature variation near forest edges could affect species' ability to regulate their body temperatures, resulting in behavioral changes that could alter the local ecosystem. One such example, Tuff said, could be the feeding patterns of animals living at the forest edge. Animals are very temperature sensitive, so they hunt for food when they have sufficiently warmed up in the morning and stop hunting for food when it is too hot in the afternoon. If temperatures are higher at the forest edge, species may respond by retreating to hunt in the cooler, deeper forest, where they become dependent on new types of food, sparking a domino effect in the food chain. Another example might be the timing and duration of species activity. If temperatures were to increase due to tree loss, predators may start foraging later in the day to avoid the heat. Such a change could increase how frequently predators come across their prey, intensifying predation events and resulting in localized prey population crashes in some cases. Such effects should also apply in instances of natural treefall, Tuff said. In Colorado, for example, high winds, wildfires and beetle kill can create edges in the treeline where greater sunlight exposure would subsequently increase the solar radiation and temperature in localized areas. The sensitivity of animals and plants to temperature could have implications for future conservation strategies as deforestation and habitat fragmentation continue worldwide. "Applying thermal biology on the scale of landscapes is a fairly new idea," Tuff said. "Thermal biology presents a new imperative for forest conservation and makes the value of forests all the greater because of what they do for thermal regulation. Trees aren't just habitat for animals, they are the world's insurance for a thermally stable and habitable planet."